The body contains a turret with six numbered nozzle locations, all pointed down, and two solenoids, one on either side of the body. Three nozzle locations are on short feeds (locations 1, 2, and 3), whereas the remainder are on long feeds (4, 5, and 6). The front locations and left solenoid is called “A”, whereas the right solenoid and rear location is “B”. 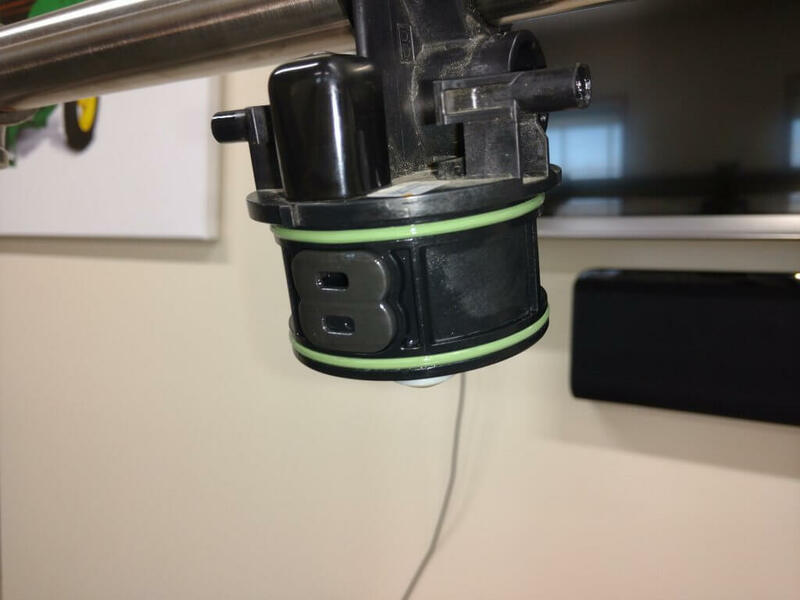 Nozzles are paired so that A or B or both are capable of spraying at a time, depending on the selected mode. Pairs are 1 & 4, 2 & 5, and 3 & 6. The operator manually rotates the desired nozzle pair into position. When a short feed (1, 2, or 3) is placed at the front of the body, the system is in Separated Mode. In this mode, the left solenoid controls the front nozzle and the right solenoid control the rear nozzle. Either or both can be used, in pulsing (PWM) or conventional mode, selected through the monitor. When a long feed (4, 5, or 6) is placed at the front, the body is in Combined Mode. Now, all flow from the right and left solenoid can only exit the front nozzle. Very high flows are achievable in Combined Mode, making it suitable for liquid fertilizer application. It may not have other practical applications in Western Canada. View from left side of body (solenoids removed). Turret position #4 (tall feed) is in front, and #1 (short feed) is in back, placing the body in Combined Mode. In Pulsing Mode, each solenoid pulses at 15 Hz, meaning it completes 15 open-and-close-cycles per second. 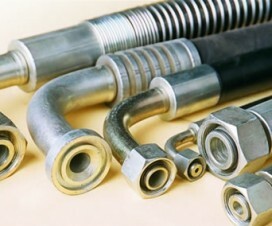 The A and B solenoid timing is offset by 180 degrees, so that the B nozzle is in the middle of its on-cycle when the A nozzle is in the middle of its off cycle. In combined mode, this means that the system operates at 30 Hz. 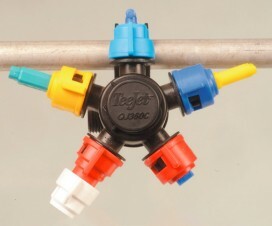 Adjacent bodies are also 180 degrees out of sync with each other, similar to Capstan, Raven, and TeeJet bodies, so that whenever a nozzle is off, its adjacent partners are on (when operating at 50% DC and above). Another way of saying this is that all even-numbered bodies act together, and all odd-numbered bodies act together but half a cycle later. This results in a blended pulse that prevents skips. Plunger assembly inside solenoid. Black plastic portion can be removed, exposing poppet and spring. The proportion of each cycle that the solenoids are open is known as the duty cycle (DC). At 100% DC, the valves are always open. At 50% DC, the valves are open 50% of the time. The minimum DC allowed by the system in default is 25%. This can be lowered to a smaller value within the monitor. DC is closely related to the flow rate of the nozzle. There are two ways of looking at this. An 08 sized tip operating at 40 psi will have a flow rate of 0.8 US gpm at 100% DC, about 0.4 US gpm at 50% DC, and close to 0.2 US gpm at 25% DC. 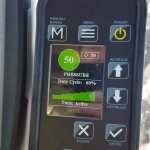 This feature is primarily useful when sprayer speed is changed, requiring new flow rates without a change in spray pressure. 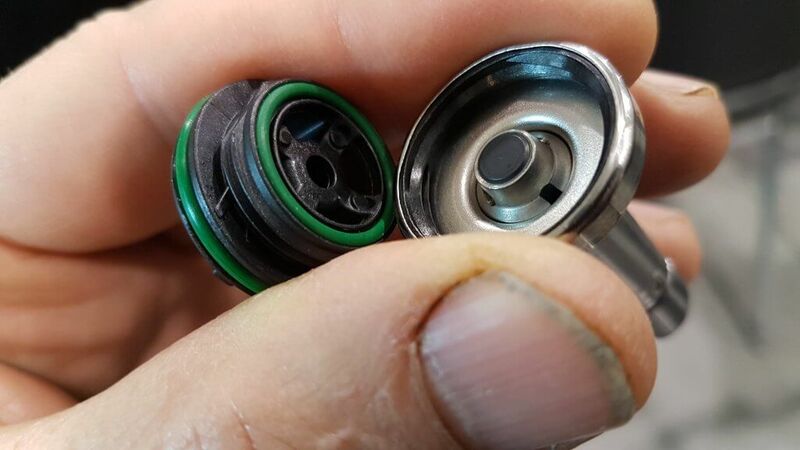 Pulsing Mode is not available for nozzles sized smaller than 02, or for air-induced tips. Pulsing can be disabled to allow the use of air-induced or other tip technologies that may not function well when pulsed. This is called AutoSelect Mode. AutoSelect Mode (“Auto Mode” in 4600 monitor) can be used to achieve three unique flow rates. “A” alone, “B” alone, or “A” & “B”. 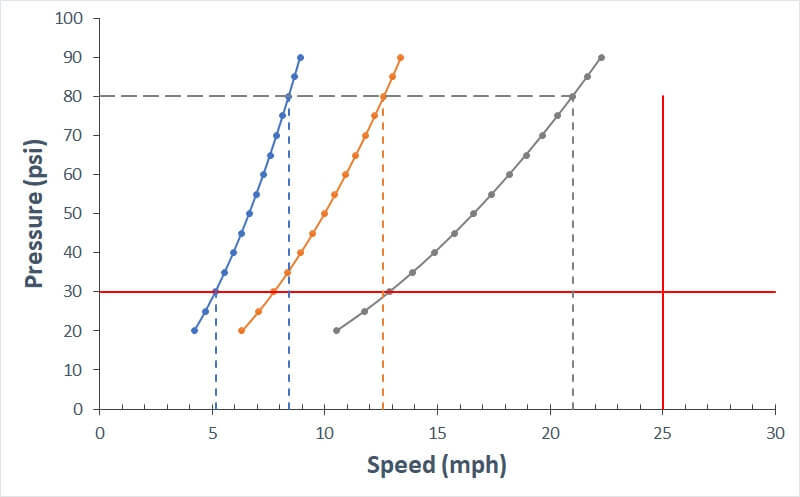 When properly staggered, a travel speed range similar to Pulsing Mode can be achieved, although pressure will rise within each nozzle as travel speeds increase, as in a conventional system. In AutoSelect Mode, the user selects a tip for position A, and an incrementally larger tip for position B. The monitor requires that the user inputs minimum and maximum pressures for A, B, and A&B. 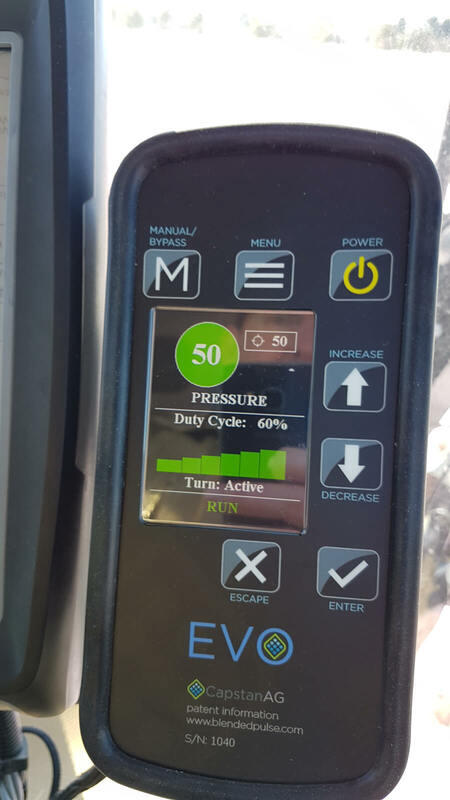 Travels speeds corresponding to these tip and pressure choices are calculated, and the monitor warns the user when speeds don’t overlap. The user either changes minimum and maximum spray pressures, or selects a different sized tip to eliminate the gap. AutoSelect Mode is useful when a certain specific tip is required which is not compatible with Pulsing Mode, for example drift protection with air-induced tips. At this time, John Deere nozzles best suited to the ExactApply’s Pulsing Mode are the LDM, LD, LDX, and 3D. 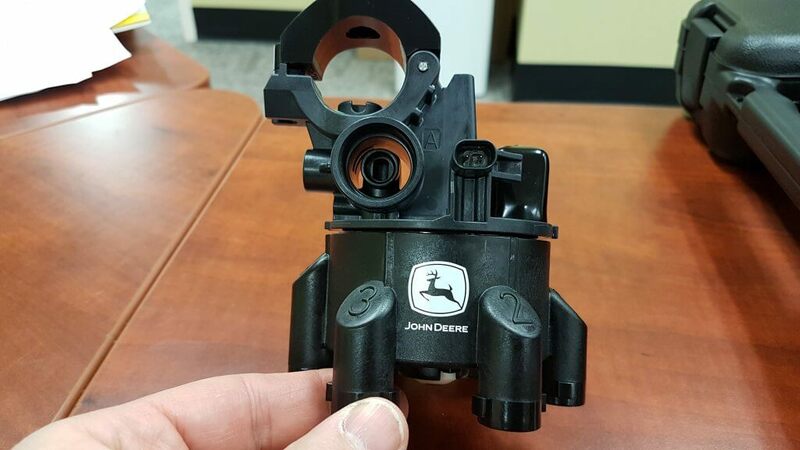 Of these, the LDM most closely represents the spray quality of the LDA and ULD that John Deere operators are accustomed to. The remainder are considerably finer. 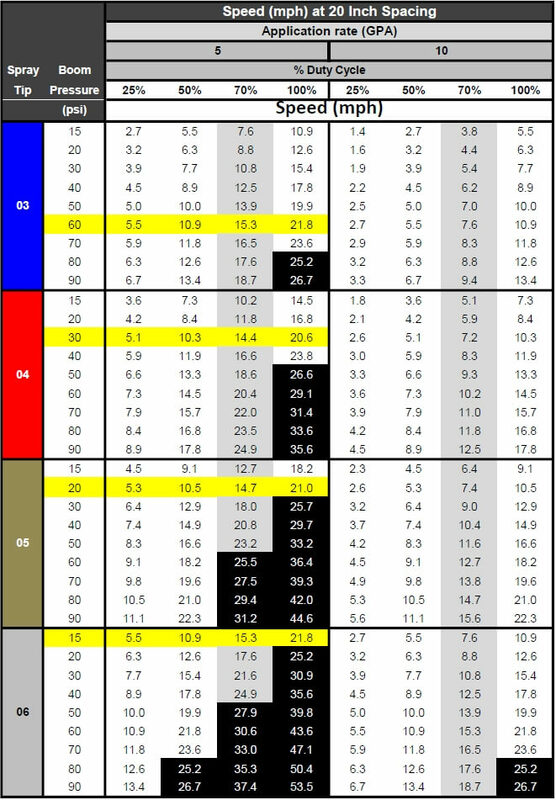 Calibration chart for PWM systems. Nozzles are sized at about 70% Duty Cycle (grey column). Options for 5 gpa at 15 mph are highlighted yellow. Black highlights represent speeds >25 mph, not available. 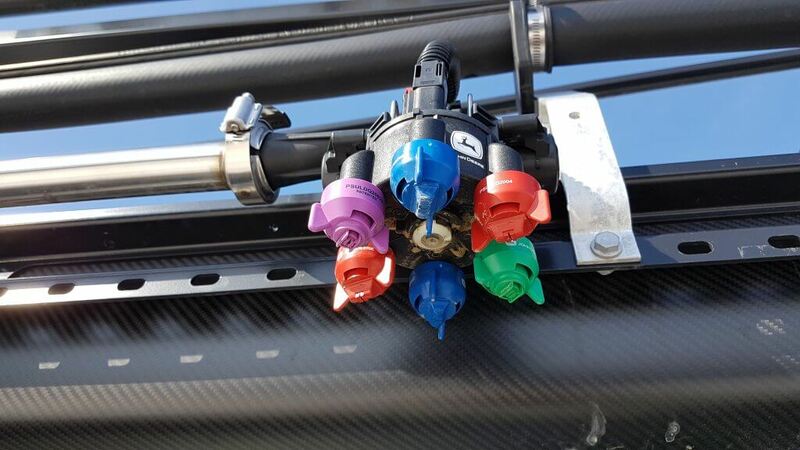 The best choice will likely be either of the first two options, as the third and fourth have spray pressures which are probably too low for good nozzle performance. The decision would depend on the spray quality obtained for each of the remaining two options. Of course, spray pressure can be altered to suit the operator’s spray quality requirements. This merely affects the available speed range as well as the DC at which the system operates at a given target speed, possibly affecting Pulsing Mode utility. The row of speeds adjacent to the selected nozzle and pressure identifies the approximate travel speed range that can be expected, from 25 to 100% DC. It’s important to know your current DC to be sure the system is operating properly, and also to take full advantage of turn compensation features. We’ve described a way to place a DC display module on your home screen here. Download an Excel version of this chart here. PWM solenoids represent a restriction to flow, and may cause a pressure drop. John Deere has published the pressure drop, and it is shown in the above chart (download version only). The pressure drop is fairly low, only 2 psi for an 04 tip operating in separated mode at 40 psi. For an 06 tip, the drop is 3 psi, and for an 08, it’s 6 psi. 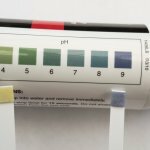 a #10 tip has a 10 psi drop at 40 psi. These pressure drops must be added to the operating pressure of the sprayer. Pressure drop is important because the LDX, LD, and 3D tips will be operated at low pressures to obtain coarse sprays for drift protection. Operating an 08 tip at 20 psi (at which pressure it has s drop of 3 psi) will result in in a tip pressure of 17 psi. Since we are at the low end of a nozzle’s operating range, pattern stability may be compromised when the drop is not taken into account. 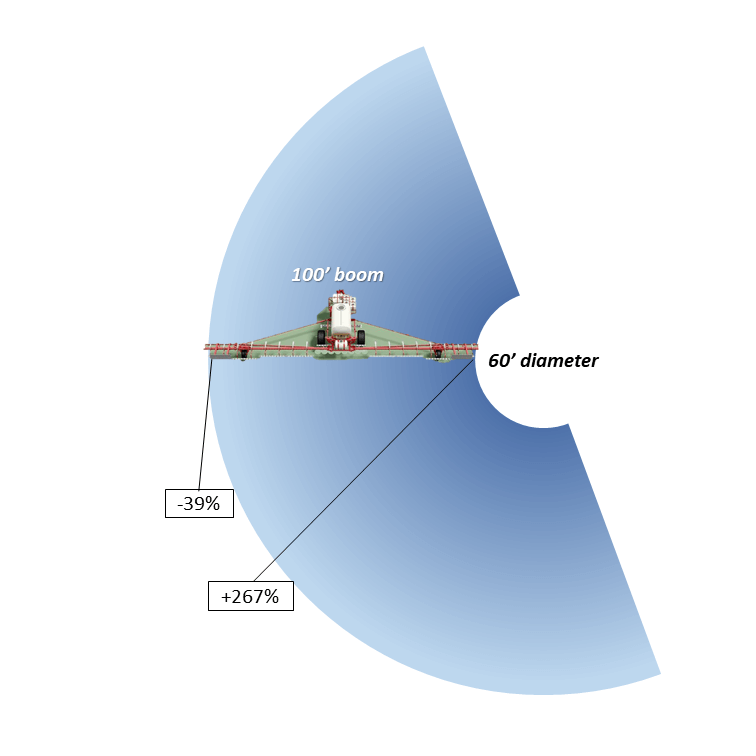 There are five main reasons a nozzle should be sized to run at approximately 70% DC. The first is to provide speed flexibility. An operator may need to speed up somewhat, but usually not more than 30%. On the other hand, slowing down is much more common to accommodate challenging terrain, and a factor of two to three is possible (from 70% DC to 25% DC). 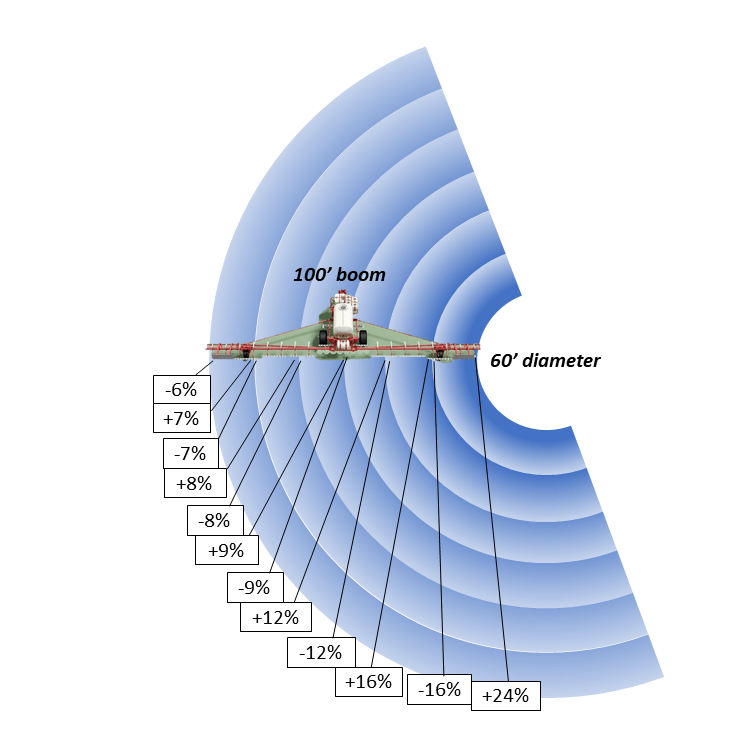 Secondly, drift reduction through lower spray pressure usually requires less speed due to the associated lower flow rate. With some DC room to spare, the loss of flow can be corrected without requiring a speed change. Thirdly, spot spraying at a slightly higher rate is possible, again through DC alone. Fourth, Nozzle Rate Boost of up to 25% for up to six nozzle locations is possible within the monitor, but only if the system is operating at 75% DC or less. Finally, turn compensation, during which the outside boom travels faster than the tractor unit and the inside boom slower, requires this additional capacity. More on turn compensation here. AutoSelect Mode allows for three flow rates to be used in succession: A, then B, the AB. The key to success is to use small size increments between A and B, and to use tips that have a wide pressure range. In the example below, the A location was an 02 tip and the B was an 03, for a total of 05. Pressure was not allowed to drop below 30 psi to retain good patterns. Pressure at switch over to the next largest flow rate therefore needed to be 80 psi to make the moves possible without pressure gaps resulting in over-application. As a result, the spray quality can be expected to fluctuate three times as the sprayer accelerates through A, B, and AB in succession. Nozzle selection should seek to emphasize the middle of the pressure range of either B or AB to avoid unnecessary fluctuations. Download an Excel sheet that assists in nozzle selection for Auto Mode here. A maintenance kit comes with each ExactApply sprayer. 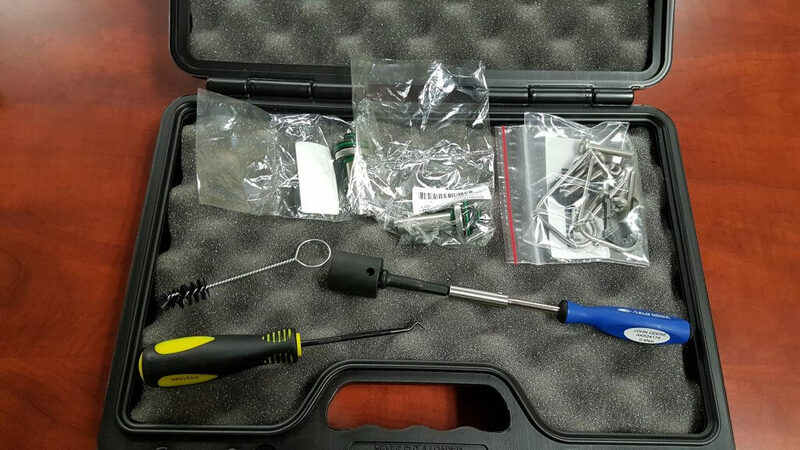 It contains two spare plunger assemblies, clips, and pins, as well as a brush, an O-ring picker, and a torque driver. The ExactApply body is fairly easy to take apart for servicing. Hair pins at the back of the unit secure each solenoid, and both pull out easily. The plunger assembly can be disassembled without tools. Take care not to drop the poppet spring! 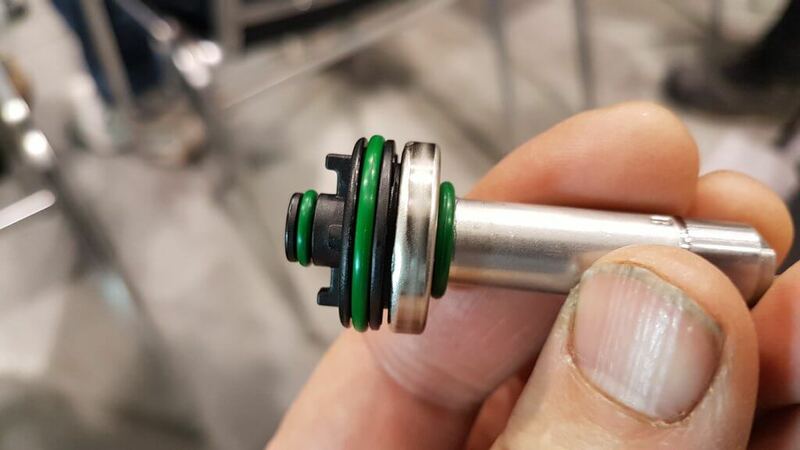 Reassembly of the plunger requires the use of the torque driver fitted with a 17 mm socket, included in the kit. Do not over-tighten the plastic component. Aside from the manual rotation of the turret to select a different nozzle combination, the only moving part in the ExactApply body is the poppet in the plunger assembly. This piece is the valve that controls flow rate, and opens and closes 15 times per second whenever pulsing mode is on, moving like a piston in a cylinder. Debris (sand, fertilizer crystals, etc.) can interfere with the seal of the poppet against its seat, and good filtration is important. Certain formulations may build up a residue that interferes with poppet movement. 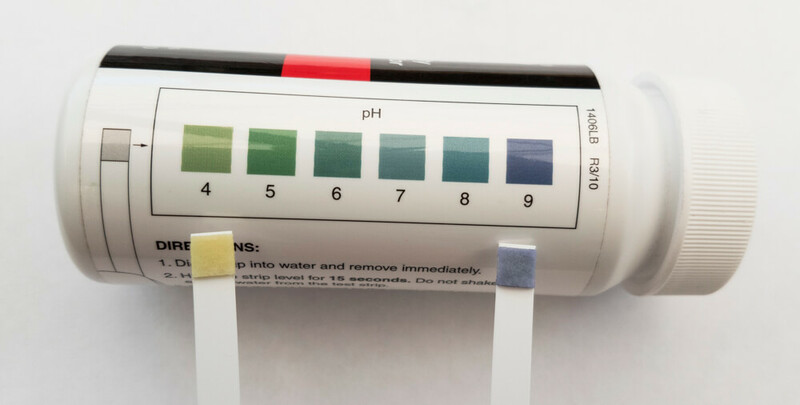 It’s impossible to predict all possible formulation impacts, but oily formulations (ECs, milky appearance) are likely to be more problematic than solutions (S, clear appearance). John Deere recommends a daily rinse of the boom through both the A and B valves with Erase, a tank cleaner product. Fortunately, the R series sprayer allow for boom flushes from the clean water tank even when the product tank has product in it. Each nozzle body contains ten O-rings and two sets of seals. The turret assembly has two large rings, and each plunger assembly has four. Care needs to be taken to prevent damage to these rings to prevent leaks. The ExactApply system is very full featured and customers new to PWM can be overwhelmed by the number of choices at their disposal. Let’s simplify the system and make some basic recommendations. 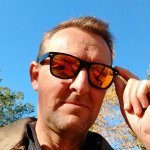 Pulsing mode is likely to be the most useful feature of the system. 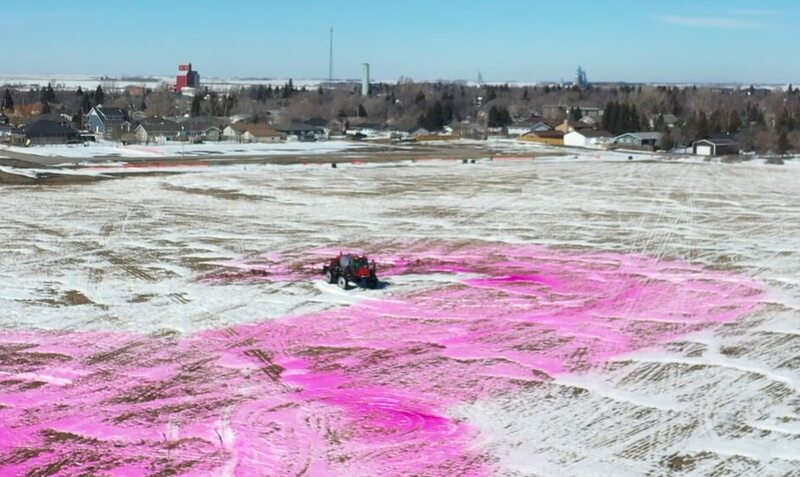 Plan to use this feature for most spraying operations. In Pulsing mode, select from John Deere’s LDM, LDX, LD, and 3D tips. 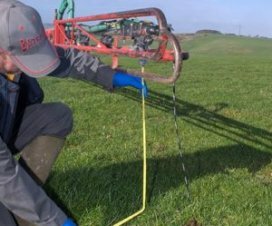 The LDX, LD, and 3D offer similar Medium spray qualities and should be operated between 20 and 40 psi to produce lower-drift sprays. Check spray patterns at these pressures and ensure that 100% overlap is achieved (pattern width is twice nozzle spacing). 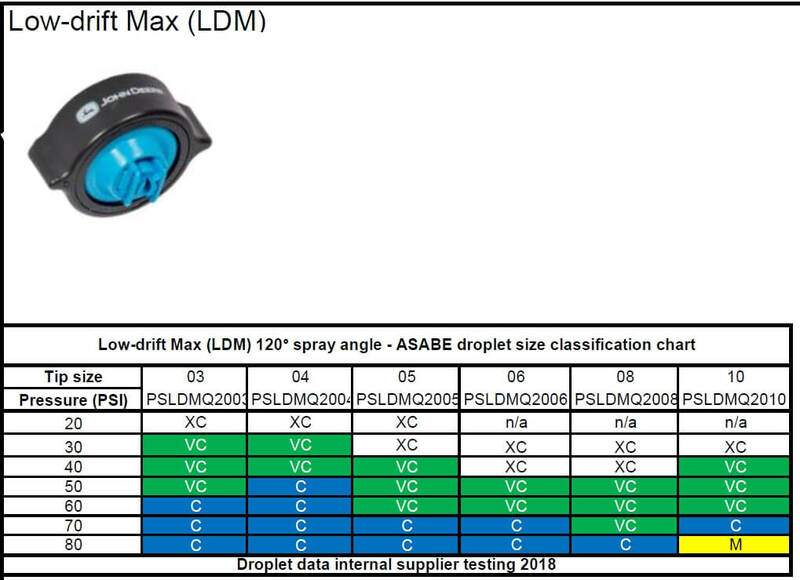 The LDM (Low Drift Max) is coarser than the above nozzles (comparable to ULD or LDA) and is available in 03, 04, 05, 06, 08, and 10 sizes. 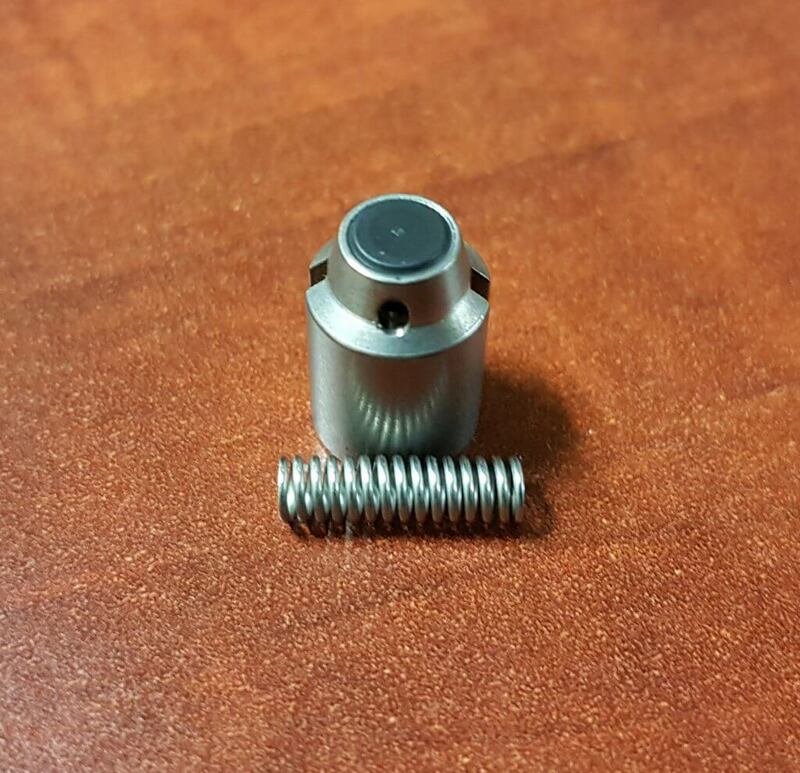 This will be the tip of choice for pulsing mode and can be used at higher pressures to ensure good pattern formation. Separated mode can handle most flow rates, and offers the flexibility of choosing A (front tip) or B (rear tip) or both. This means turret 1, 2, or 3 will be in the forward (A) location. Twin tips for Fusarium Head Blight (FHB) can be achieved in five different ways. 3D tips in “A” or “B”, alternating their orientation along the boom (forward, backward, forward…). Pulsing Mode. 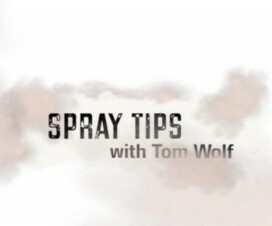 (Since these tips are not very coarse, low pressures are needed to ensure that the angle of the spray persists more than a few inches). 3D tips in “A” and “B” on each body, front facing forward, rear facing backward, and operating in A&B. Pulsing Mode. LDT (Low Drift Twin) in “A” or “B”. LDT is a TwinCap with two LD tips installed. Pulsing Mode. LDM (Low Drift Max) in installed in a TwinCap in “A” or “B”. These are coarser sprays that will retain their direction longer and are well suited for FHB. Pulsing Mode. GAT (GuardianAIR Twin), an air-induced tip, running in either conventional “A” mode or in Auto Mode but sized for “B” (avoid operating in A&B to prevent pattern interference). Some recent recommendations: A customer wanted tips for 5, 10, and 15 gpa at 14 mph, and the 15 gpa was for FHB. He didn’t want to be too coarse. We recommended the LDM 03 at 60 psi (5 gpa) in “B”, the 3D 08 at 30 psi (10 gpa) in “A”, and both together, with the 3D facing forward, for FHB for 15 gpa. The sprays would be “Coarse”, a nice middle ground. ExactApply joins Capstan PinPoint, Raven Hawkeye, and TeeJet DynaJet with PWM capable systems. Auto Mode is a version of nozzle switching first introduced into the market as Arag Seletron and Hypro DuoReact. It appears to be a full-featured system that is fully integrated into the new John Deere 4600 display but is also available as a retrofit on the older 2630-eqiupped sprayers. It’s expected that systems originating in Europe, notably by Rometron (WEEDit) and Agrifac (StrictSprayPlus) will enter the North American market in the near future.